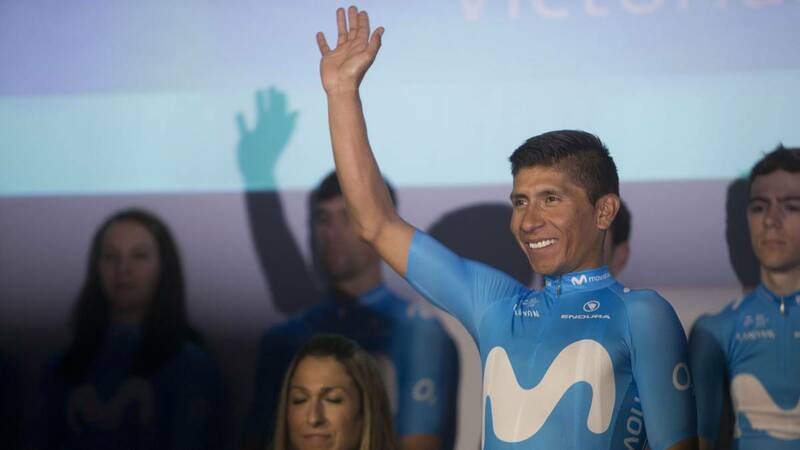 Home Cycling Nairo Quintana: "The Tour is not an obsession, but a goal"
Nairo Quintana: "The Tour is not an obsession, but a goal"
This Sunday the Colombian attended El País del Movistar starts his season in the Vuelta a San Juan with the same goal of recent years, winning the Tour. Nairo Quintana will give his first pedals of the season this Sunday in the Vuelta a San Juan (January 27 to February 3) in a season where he will once again have the objective of winning the Tour de France. "It's not that it's an obsession, it's a goal," he said in an interview with El País. The leader of Movistar also says he is at the perfect age to achieve it (28) in a season where he has changed his preparation . Y is that the Tour, what he called 'the yellow dream', has it in mind. "Pressure is a reality on the part of my team, the media, the Colombians ... and on my own part, I do not want to give up," he said. Y also promised a more daring way to run: "It's a surprise, I'll just say that I'm going to enjoy this season like no other" . A novelties that will begin to be seen in San Juan, although "it's the first race and you have to take it things calmly. " What is not going to influence him are the criticisms he has received in recent times: "Many are critical, but many also support me, I do an exam, but I can not stay listening to bad things, I also have a clear conscience, I am very professional".